During financial difficulties, many UAE companies sought to reduce their costs with redundancies and are now in a position where they are understaffed. To cope with increasing business growth companies are starting to resume recruitment once more. Some employers in the region arguably remain relatively unsophisticated with regards to strategic HR and lack foresight with regards to recruiting new staff. 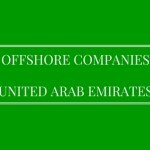 There is also an apparent lack of understanding of the UAE Labour Law and the general provisions of basic employment contracts. Nominal time and resources spent on analyzing the terms under which a prospective employee will be hired can save considerable time and resources years later, if that employee decides to move on. Each employment contract should be considered on a case by case basis and expert legal advice should always be sought. Below, we look at some of the main elements of employment contracts that should be taken into consideration by employers. 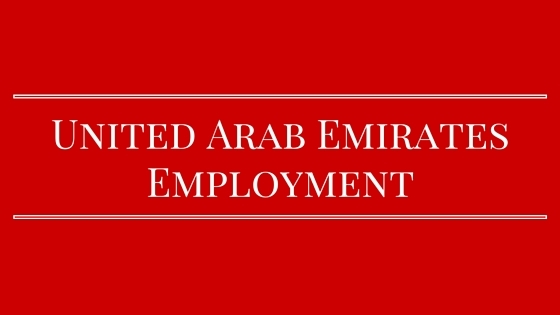 In the UAE employment contracts are broadly divided in two categories, limited term and unlimited term. It is essential to fully evaluate the role and objective of each position the employer wishes to hire for. Generally, limited term contracts are intended to continue for the full term of the contract and terminating it prematurely may result in compensation being due to the other party by the party terminating it, unless otherwise provided for in the contract. Compensation under these circumstances can amount to up to three months of the employee’s salary or the remaining period of the contract, whichever is less. Generally, the UAE courts tend to award the maximum compensation (three months remuneration) if the employer terminates the contract prematurely. These contracts can be terminated at any time by either party with a valid cause for termination by giving proper notice as set out in the contract. “Valid cause or reason” is not defined under UAE Labour Law and therefore has to be considered on a case by case basis. Terminating the contract without a valid cause will also likely result in the terminating party being liable to pay compensation to the other party. Compensation would normally be up to three months of the employee’s salary. In the UAE remuneration consists of basic salary plus various “benefits” such as housing allowance, travel allowance etc. and this varies from company to company. It is important to detail the various elements of the total remuneration payable to the employee. A well thought out salary structure is important for the calculation of end of service payments due to the employee when they leave the company. This payment is based on basic salary. In our experience confidentiality clauses in employment contracts in the UAE are often loosely worded and many employers include it for the sake of it. A properly drafted confidentiality provision which effectively protects the employer’s sensitive business information is more important than ever before and employees should be aware of their confidentiality obligations from the outset. Confidentiality clauses should be drafted with the future in mind and employers need to be clear on what they consider confidential and commercially sensitive information so that employees are equally aware. In addition, clear and carefully drafted HR policies governing the use and dissemination of confidential information will serve to protect both employee and employer in the long term. In every organisation, there are employees with access to competitive intelligence and sensitive business information (i.e customers, strategy, financials, etc.). Employees with access to this information can be attractive to competitor businesses and it is important for employers to ensure they have suitable contractual protection against employees joining competitors in order to protect their business. Certain employee contracts should contain a non-compete clauses from the outset as opposed to the somewhat common practice of having these signed on termination of the contract. UAE Labour Law allows for the insertion of non-compete clauses, provided that they are reasonable and are in place to protect the legitimate interests of the employer. They are not to go beyond this scope. There are certain requirements under the Labour Law which should be taken into consideration when drafting such clauses and the more tightly drafted they are, the more likely they are to be enforced. Employers should also make sure when hiring new staff that their previous employment contract did not contain a non-compete clause as this could render them liable to pay compensation to the employee’s past employer where the potential employer headhunted them from a competing business. Termination provisions and notice period clauses must be suitably worded to protect the interests of both parties. UAE Labour Law provides that either party can terminate an unlimited employment contract for a valid cause by giving the other party 30 days prior written notice. This notice period can be increased by mutual agreement of the parties however it can not be decreased. The employee’s position in the organisation should be taken into consideration when agreeing upon a suitable notice period. Employers may prefer longer notice periods in order to find a suitable replacement for senior employees. Conversely, if the employer wishes to terminate the contract immediately (for any reason other than provided in Article 120 of the UAE Labour Law) the employer will have to retain the employee for the duration of the notice period or have to pay in lieu of notice. 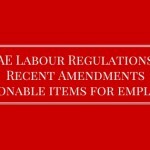 Notice provisions must be taken into consideration in employment contracts within the scope of the UAE labour law and employers should consider these carefully for the various levels of employees they hire. Enforcing the employment contract (particularly confidentiality and non-compete clauses) can prove difficult for employers. The employer must prove actual loss if it wants to claim damages from the employee for breach of any provision of the employment contract. Therefore, a provision for liquidated damages must be made for breach of employment contract (with regard to term, confidentiality and non-competition). 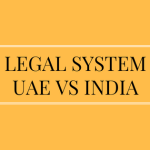 In the UAE, the court recognises such clauses provided that the amount of liquidated damages is realistic. The benefit of this provision for employers, if properly worded, is that it shifts the burden of proof for damages from the employer to the employee. Clear, well drafted employment contracts are essential to protect the interests of both employer and employee. 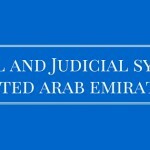 Equally, it is very important to structure employment contracts in compliance with the provisions of the UAE Labour Law in order that they are enforceable should a dispute arise.